Approximately one to two weeks after your photo shoot, you will come to the studio for your View and Order appointment. Your images are projected onto our 108″ projection screen and we take the time to design the right art piece for your home. 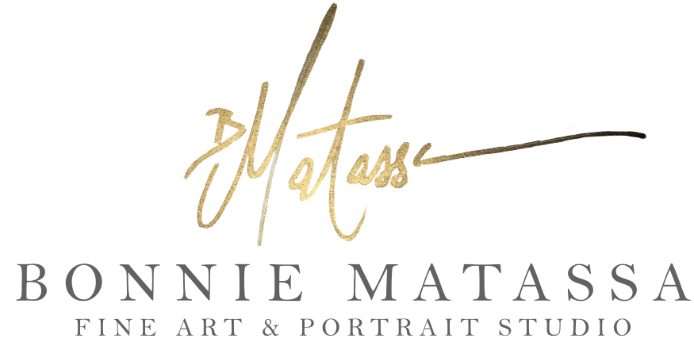 Your View and Order appointment is the time set aside to finalize your portrait order, so be sure and schedule a time when both mom and dad (or the decision maker) can be there. Together, we will you sort through the images and make final decisions on what will look best with your decor. With our state of the art software, Bonnie can show you what your portrait will look like on your wall, so you can choose the RIGHT size for the space. All of our luxury products are made with the highest quality, and are made with archival quality to last for generations.